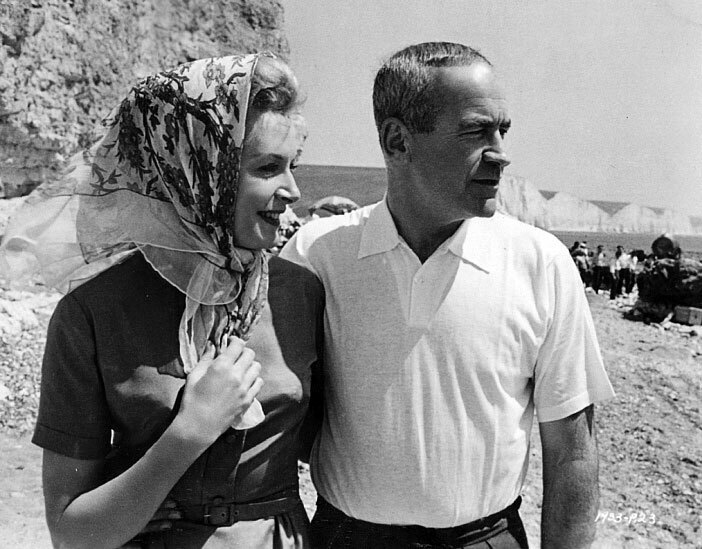 Screenwriter Peter Viertel visits wife Deborah Kerr during the filming of “The Chalk Garden” (1964). A less than glamorous job, most successful screenwriters are solitary individuals who work quietly and diligently at their craft. But screenwriter Peter Viertel (1920 – 2007) lived the jet-set life that is the glittering exception. Born in Dresden to an artistic and assimilated Jewish family, mother Salka was a screenwriter who was Greta Garbo’s best friend. His father, Berthold Viertel, was also a prominent writer and intellectual. The family moved to Hollywood in 1928. Peter’s childhood was the stuff of dreams: weekends were spent in the company of Garbo, Chaplin, Douglas Fairbanks and Mary Pickford. Young Peter was Hollywood royalty.